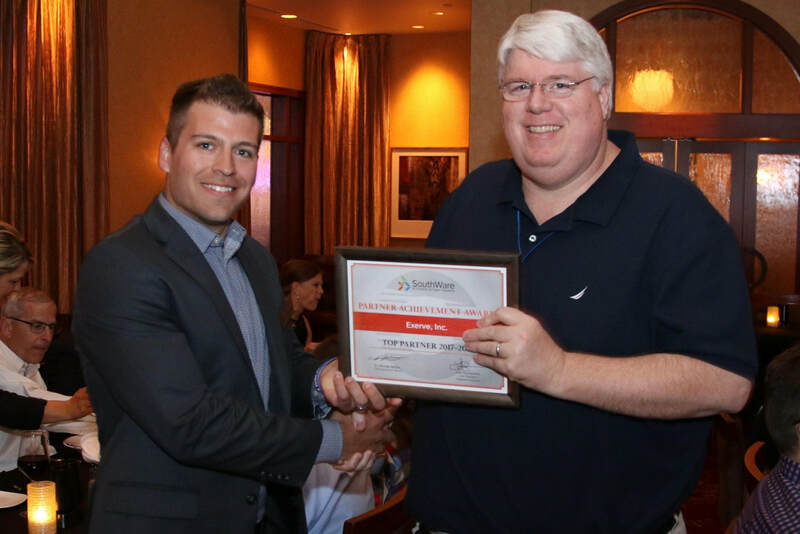 During the Annual Partner Summit on May 16th in Minneapolis, MN, Exerve was recognized with the Partner Achievement Award – Top Partner 2017-2018 for the 3rd year in a row. We pride ourselves with the service we provide and we would not be able to achieve our goals without our fantastic clients. ​Thanks for another great year! You have the option to track the GPS locations of mobile service techs.You must have activated the “Store GPS Tracking Data” option in the Tech Tracking configuration in order to use this feature. You may access the tracking info for a tech via the GPS Tracking Tab of the Technician Manager portal. 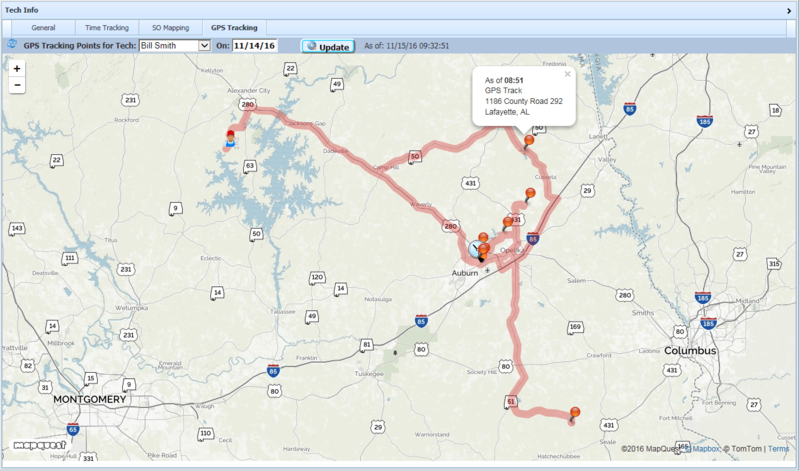 The GPS Tracking Tab shows a map of all GPS positions recorded for a technician during a day. When you access the tab the map will show positions for the current date. The route is sequenced by the time stamp for each GPS position record. You may view history for other dates by changing the date field and pressing the Update button. You may also enter select a Starting Time to include only positions from that time forward. You may click on any icon point on the route to see the time and address for that point. 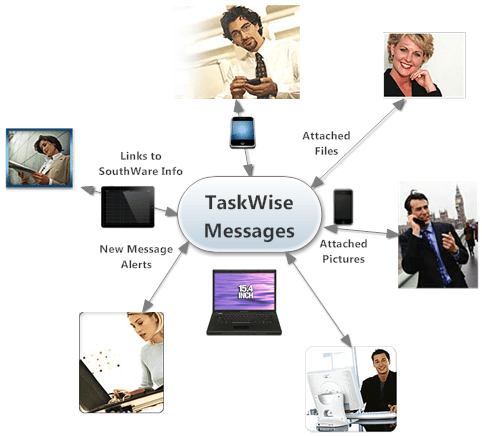 TWIC (TaskWise Internal Conversations) is an extensive technology add-on for SouthWare TaskWise that allows you to easily and securely communicate with other SouthWare users in your company without relying on external texting, messaging, or e-mail services. TWIC also allows you to have ongoing online discussions with different teams or the entire company. 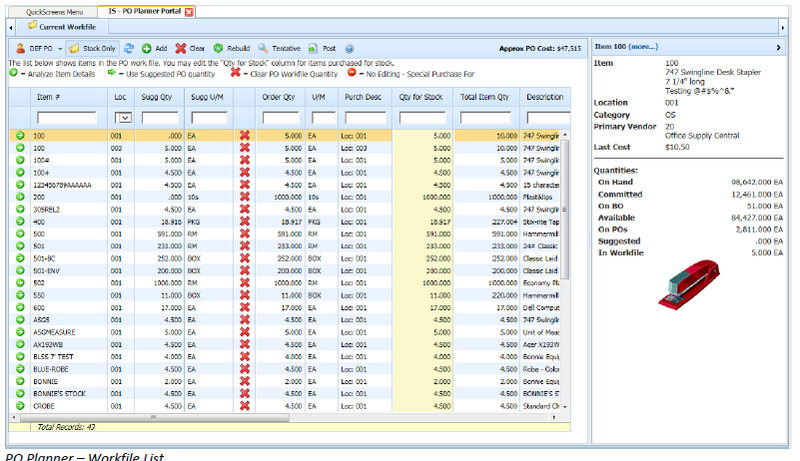 With the File Access Search Table (FAST) feature you may create new index keys to enable faster ReportMate reports. A FAST index key gives you similar capabilities to the standard alternate key fields for a SouthWare file. When you create a ReportMate report and use an index key as the first range the report will process much faster because the report reads only the records that match the index key. This is typically needed only on files with a large number of records, and tests indicate this can result in reports that run 5 times faster than the same report without an index. 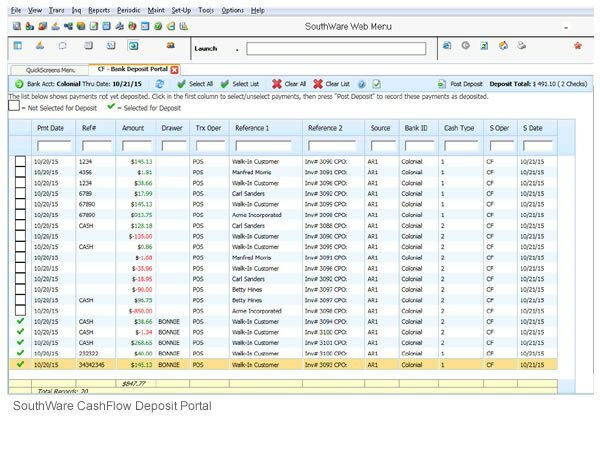 SouthWare has released platform 16 and we are scheduling client upgrades starting in August. If you are interested in upgrading your system, please contact us as soon as possible to get on the schedule. 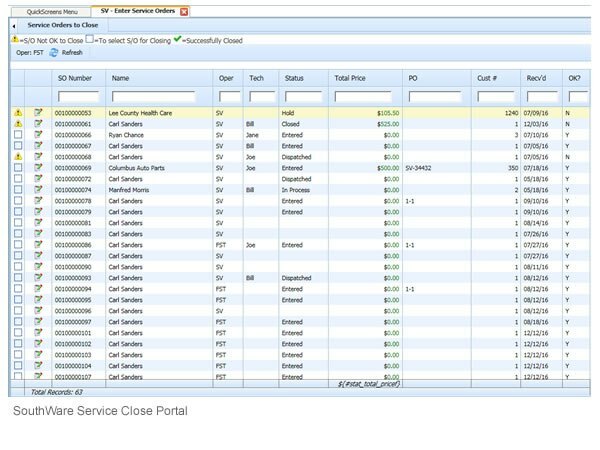 The Service Order Close Portal creates a central point to see open service orders, review status, edit and close service order for billing. 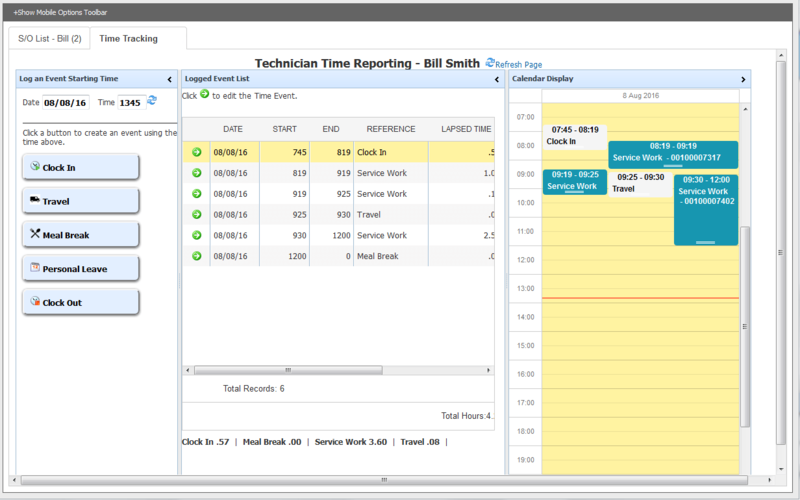 ​This is a great tool to stay on top of billable services and minimize time to cash for service billings.